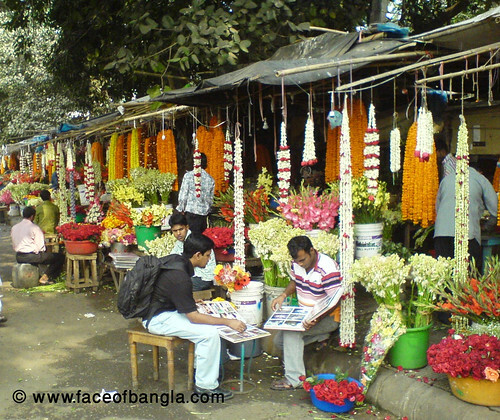 Dhaka (ঢাকা) is the capital of Bangladesh, a very colourfull city. It has just celebrated its 400th birthday. This is the city of 150 millions people. They are different in their occupation, culture and tradition. In this post, I have tried to represent some of those colours with my camera. 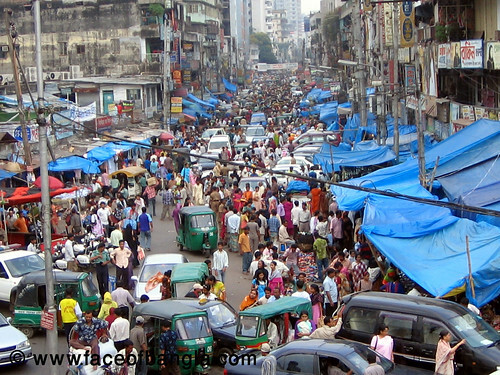 A huge gathering at Dhaka New Market (ঢাকা নিউ মার্কেট). People are jostling here to buy their desired product. 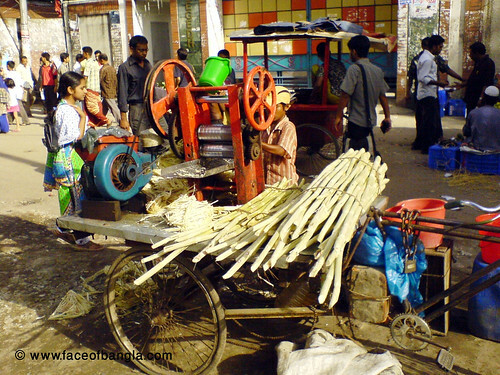 These are called Dugdugi (ডুগডুগি), a pleasing toy for the children. Now it is very rare but occasionally found. 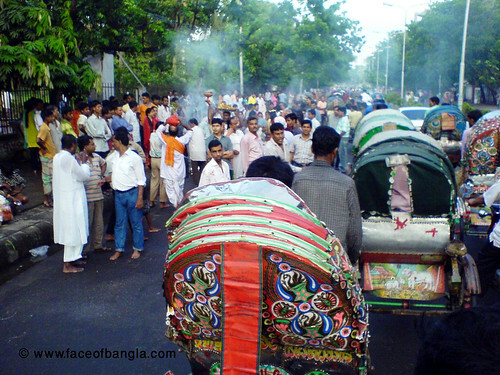 They were being sold in the Sahbagh (শাহবাগ) area in the festival of Boiskh. 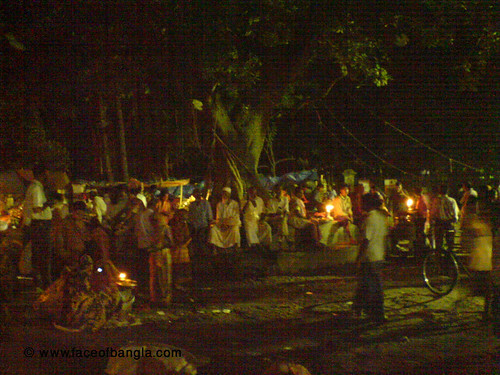 The people of Hindu religions are celebrating the Puja (পূজো) in front of Bangla Academy (বাংলা একাডেমি), University of Dhaka. This is the morning view of Dhanmondi Lake. People of old ages use to gather here in the morning, after their morning walks. After retirement from the job, they practice a community relationship here. 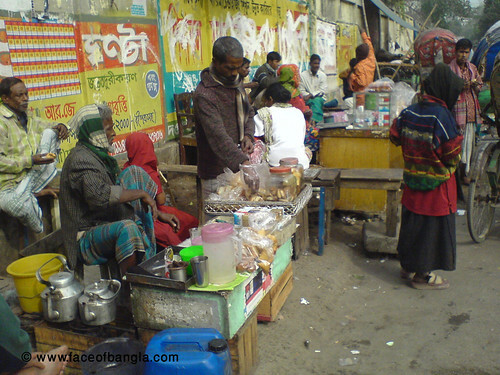 Two typical road side tea-stall. Captured from the Poribagh morh (পরীবাগ মোড়), Dhaka. 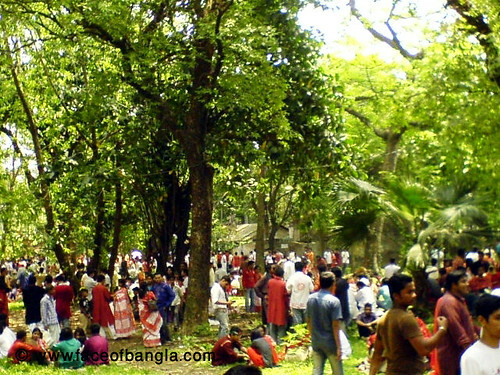 1st Boisakh (পহেলা বৈশাখ), starts of a new Bengali year. 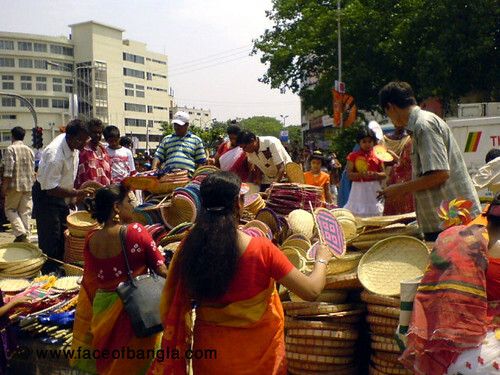 To celebrate the day, people gathered in the Dhaka university area and enjoying the Bengali new year (বাংলা নববর্ষ) by purchasing some small fanciful tools for their house-hold. A blender machine and its operator. This is a very common sight in summer season. 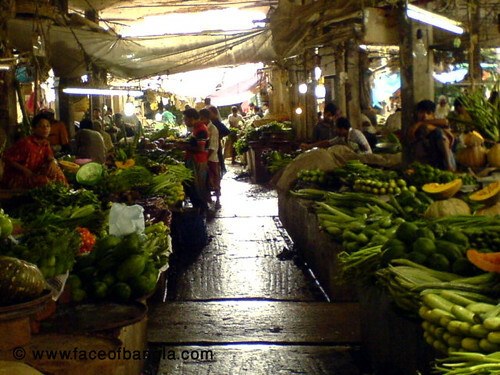 Passers-by refresh themselves by drinking this tasty juice of Aakh (আখ). Colourfull participants in the Fine Art Institute, university of Dhaka to celebrate the 1st Boisakh (পহেলা বৈশাখ). 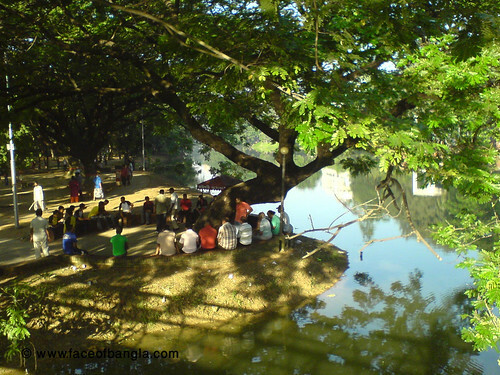 We heard that the villagers gather under the banyan tree to enjoy the story from the old enchanter. But here in Dhaka city people also do so but the purpose is different. It is a late evening capture behind the Bangladesh Supreme Court, Dhaka. Very nice blog.Earn from online without any investment, without any skill.Completely free method to earn from home.Nice home based jobs.Get paid to visit ads.Join free-Earn money.